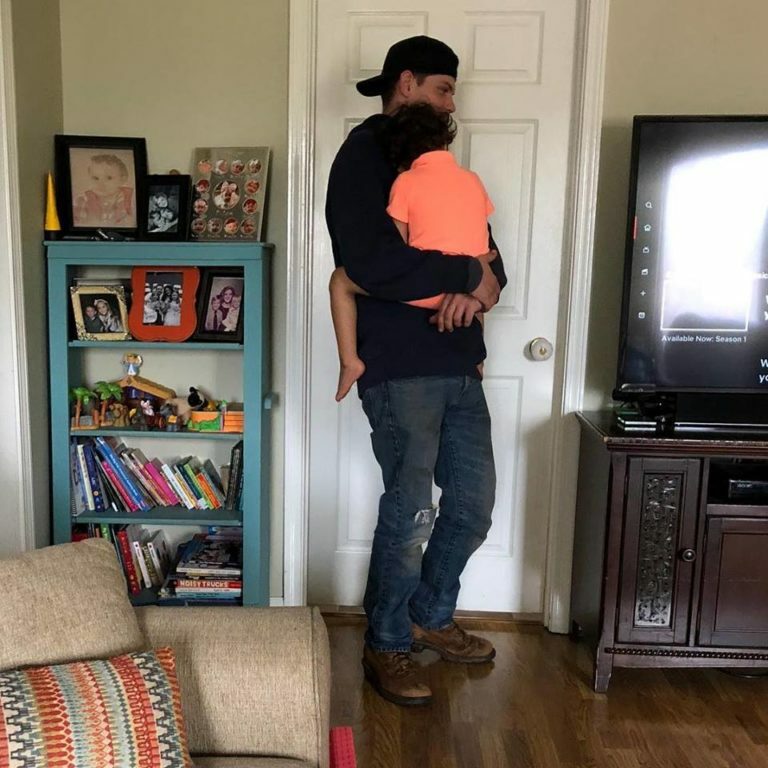 Exhausted Mom Breaks Down When Cable Tech Makes Sweetest Offer During Service Call. Raising children is difficult but rewarding at the best of times and overwhelming at the worst. That’s why moms and dads need all the help they can get. 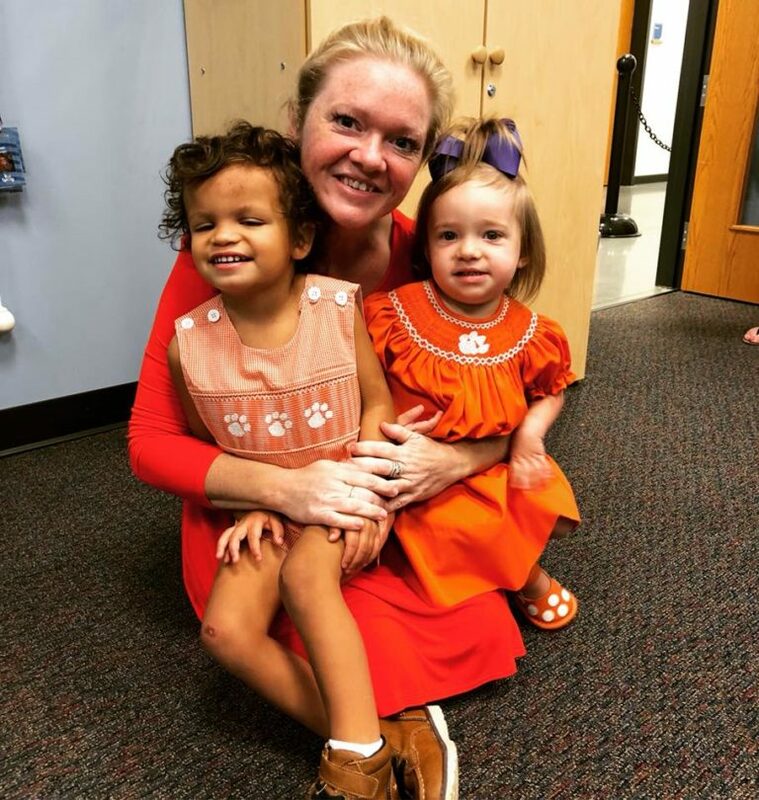 Parenthood is even more complicated for Jessica Nash Donnahoo of South Carolina, though no less appreciated by the mom-of-two. Her three-year-old son, Sailor, has special needs and can’t communicate very well. He was born with two rare brain defects and is blind. 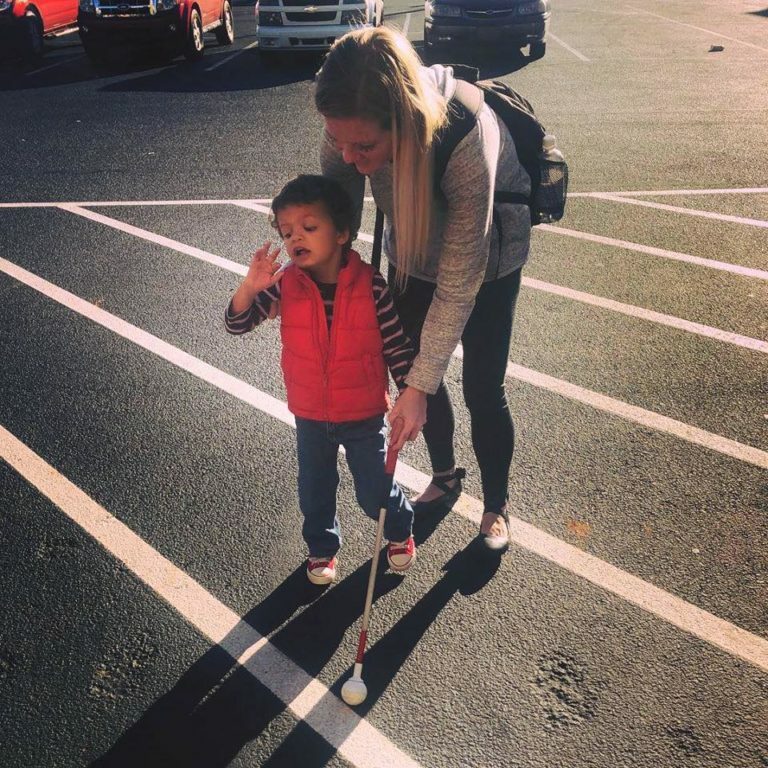 Jessica adores her son but admits life with a disabled child isn’t easy. 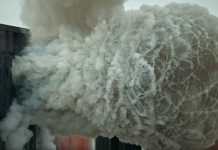 Her awareness of that fact recently came into sharp focus while her husband was away at work one day. Jessica was at home with her children waiting for a Spectrum technician to service her internet and TV. Sailor was crying and quickly became inconsolable. Things started to become too much for the exhausted mom. But when the technician named Robert arrived, everything changed. His simple yet incredibly sweet gesture touched her heart — so much that she had to let others know about his act of kindness. On March 16, Jessica wrote an emotional post on Facebook. In it, she addressed Spectrum, sharing with the company their employee’s good deed. Today your technician Robert came to our home to upgrade our internet and help us start up TV streaming. He walked into a mess. My son, Sailor, is three years old. He was born with two rare brain defects and he is blind. He is unable to communicate his needs, and today has been rough for him. 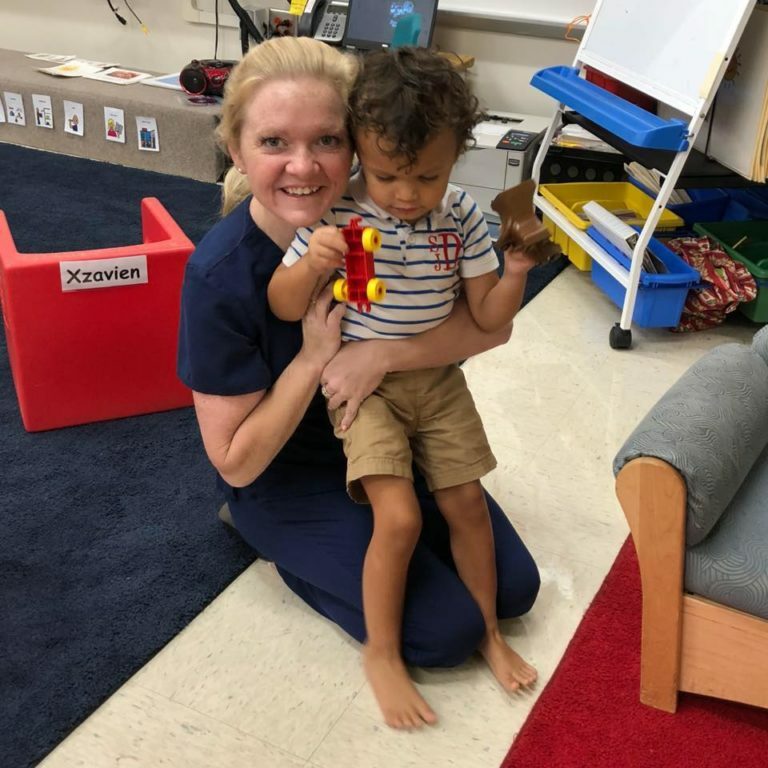 Jessica went on to explain how draining it was for her to try to soothe the toddler while also taking care of his two-year-old sister, Drew, and completing household chores by herself. That’s when Robert picked Sailor up and began comforting the little boy. 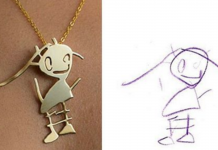 Jessica snapped an adorable photo of the two, which has since gone viral. When Robert walked in and started talking, Sailor ran to him and reached up. Robert didn’t seem bothered at all and, instead, held my son off and on for the whole 45 minutes he was in our home. He snuggled him close while I folded laundry. It was a huge relief to this tired momma. 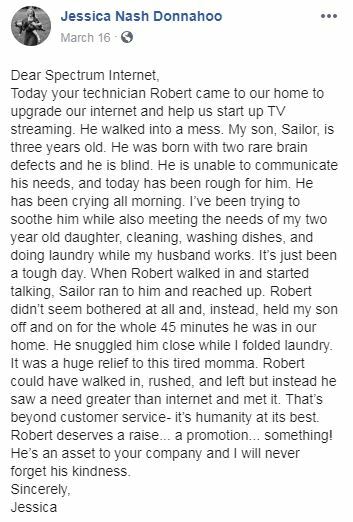 Robert could have walked in, rushed, and left but instead he saw a need greater than internet and met it. That’s beyond customer service- it’s humanity at its best. Robert deserves a raise… a promotion… something! He’s an asset to your company and I will never forget his kindness. People who read the post were just as touched and shared their overwhelmingly positive opinions of the man’s character. 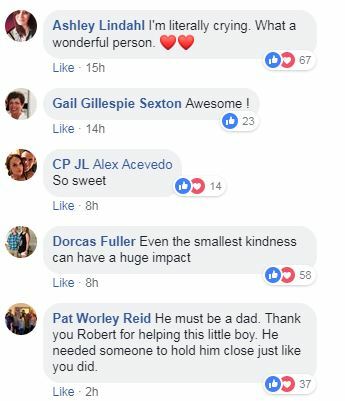 Robert must have taken to heart the notion that when it comes to parenting, it takes a village. He really does deserve a promotion for not only going above and beyond to sooth a child, but his adult client as well!